Life is full of second chances, and Daybreak Game Company understands this. It can be very frustrating when someone receives an in-game ban from their favorite video game, trust me I would know. 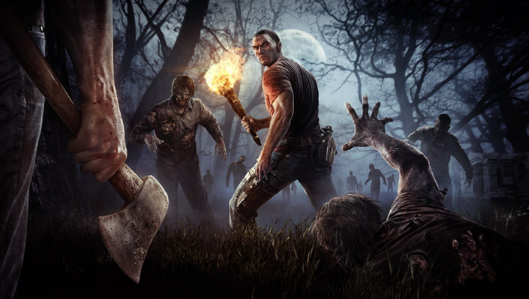 Daybreak Game Company, the company responsible for developing and publishing the well known PC multiplayer zombie survival game known as H1Z1, is taking a slightly unique approach when dealing with cheaters. This past Monday, approximately 23,837 players were banned for using online modifications. The most popular mod being an ESP modification that allows players to see the exact location of players, ammo, and weapons around the map. Before you continue reading the article, let me ask you, how far would you go to be unbanned from your favorite game? Daybreak's President, John Smedley, stated over a series of tweets that a simple email explaining that you are sorry will not cut it. In order for recently banned players to have their ban lifted, they must record themselves apologizing and then upload it to Youtube. After the video is finished uploading, the player must email Smedley the video and he will Tweet it out for the whole H1Z1 community to see. As of now, the developers have confirmed that five players have had their bans lifted. Smedley confirmed this via a Reddit post by saying "So far we've unbanned five people out of 30k we've now banned. One of which is probably about to get re-banned for taking his video private. I want to make sure it’s clear there are consequences for cheating. You don’t just get to make a video and get unbanned. This is a very limited time thing to try and raise awareness of what’s actually going on. You may say ‘hey there clearly aren’t consequences if you are unbanning people.’ Let’s get back to the part where I said we’ve unbanned 3 people. If these videos go far and wide and it elevates the importance of getting rid of the cheaters in PC gaming, I feel it’s an excellent trade." What's stopping players from creating another Steam account and purchasing the game again? The answer is quite simple; nothing is stopping ban evaders from doing this. Unfortunately, there is little most companies can do to prevent cheating from occurring, especially on the PC. I personally find the idea of publicly shaming dishonest players absolutely magnificent. H1Z1 has been plagued with cheaters pretty much since the release earlier this year on January 15th, making it difficult and somewhat impossible to have an enjoyable online session. I am very happy to see something actually being done about all of the online modifications and hackers. Do you think publicly shaming players is a effective way to help prevent cheating?